Starting out at number 5, we find ourselves in the never-ending sun of Los Angeles, California. 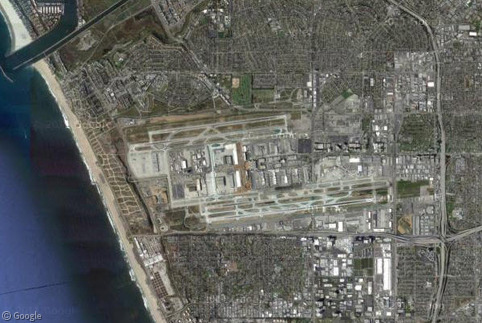 Between January and May 2011, the Los Angeles International Airport served an astonishing 24,230,832 passengers, all while competing with four other airports in the Los Angeles area. LAX is designed so that each terminal’s arrival gate feeds directly to the exit, and its eastbound approach over the Pacific Ocean is known for terrifying new flyers! 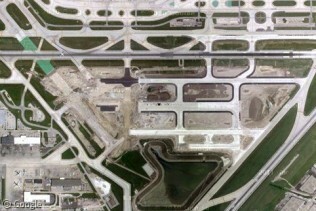 Like most busy airports around the world, O’Hare is expanding through its own modernisation plan. 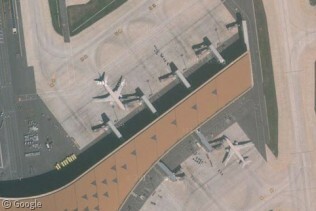 Evidence can be seen from above in the form of a new east-west runway being built at the south end of the airport. Ranking number three in our list, we find the busiest airport in the EU and the airport that handles more international passengers than anywhere else, London’s Heathrow Airport. In the first half of 2011, Heathrow saw 26,733,585 passengers, which is logistically impressive when you consider LHR only has 2 runways, and it’s also competing with London’s four other airports! 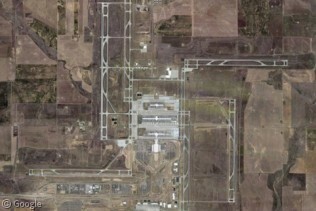 In what is becoming a common theme, the airport’s terminals are centrally located in this mess between the runways, with the exception of an international terminal on the south end of the airfield. 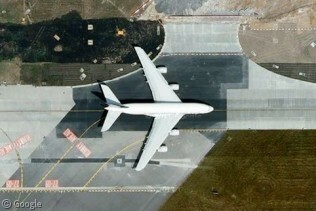 What would the world’s largest international airport be without the world’s largest passenger airplane? 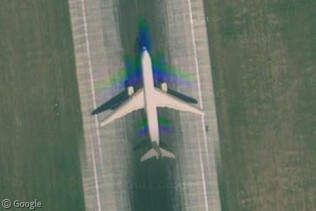 Here’s one of the massive Airbus A380s, which we found heading out towards the runway. This plane can be configured to hold up to an amazing 853 people, but sources indicate this particular bird has somewhere between 550-650 seats onboard. 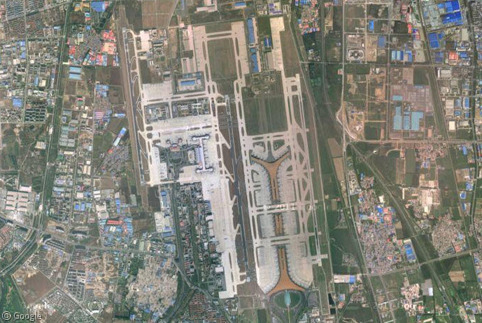 The Asian market is well represented on our countdown in the form of China’s Beijing Capital International Airport, ranking number two in passenger traffic with 31,080,482 flyers in the first 5 months of this year. That’s nearly 5 million more than Heathrow in the same time period! 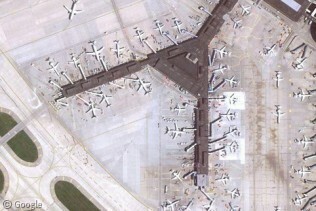 It looks like the day this satellite photo was taken however things are kind of slow, as there isn’t much traffic sitting at the gate. Surprised? Well you shouldn’t be! Year after year, the Hartsfield–Jackson Atlanta International Airport in Atlanta continues to dominate the various statistical categories and easily claim the title of “The World’s Busiest Airport”. It’s had the highest number of annual passengers every year since 1998, the most air traffic in 1999, 2000 and from 2005 through to today, and it even set a world record in 2007 when the airport had a mind boggling 994,346 takeoffs and landings in one year! That’s an average of nearly one takeoff and one landing every minute of every day for a solid year! 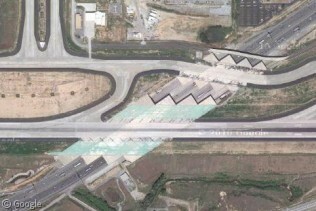 In an effort to handle this unbelievable amount of traffic, the airport expanded and added a fifth runway in 2006 that literally crosses over Interstate 85 Interstate 285. 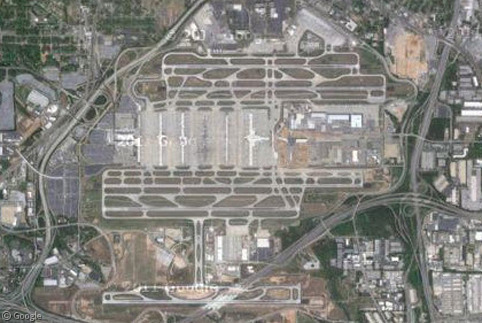 ATL has 195 gates spread across six terminals, all accessible by an underground train system. Some of these gates are squeezed extremely tightly together. 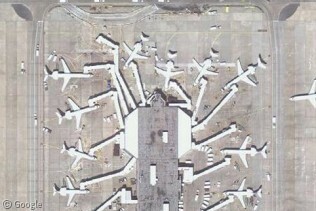 Delta Airlines (which appropriately happens to be the world’s largest airline) uses Hartsfield–Jackson as its main hub airport, flying over 59% of all flights here. To avoid radio confusion the FAA officially renamed taxiway D (normally pronounced Delta everywhere else) to Taxiway Dixie. Atlanta had 36,548,629 passengers between January and May of 2011, which is 5.5 million more than Beijing, and they’re still expanding! 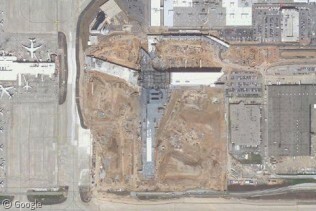 Google imagery shows us construction of the new terminal F, due to be opened in Spring 2012, and also the airport’s control tower, which happens to be the tallest in the United States as well! Amongst aviation geeks you will hear the grumblings that an airport isn’t the busiest unless it has the most planes, or the most cargo, or the most international passengers, or whatever! So to be well-rounded in our not so scientific list, here are a few honourable mentions that don’t quite have the passenger counts to make the top 5, but make up for it in other areas. 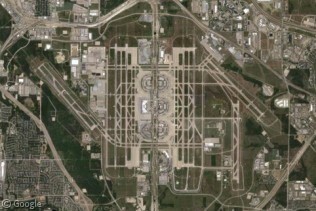 Dallas/Fort Worth International Airport (DFW) – Ranks number 4 in traffic movement. 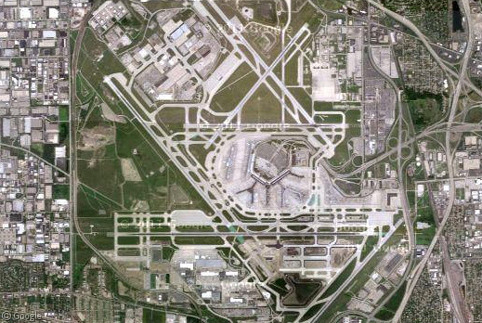 Denver International Airport (DEN) – Ranks number 5 in traffic movement. 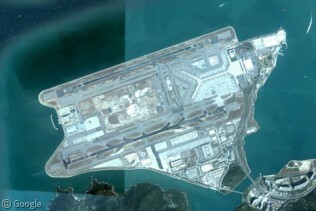 Hong Kong International Airport (HKG) – Ranks number 1 in cargo traffic. 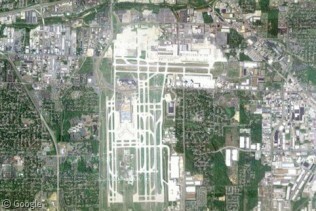 Memphis International Airport (MEM) – Ranks number 2 in cargo traffic. I just want to say that I’m amazed three of these five are in the United States. I honestly never expected that. 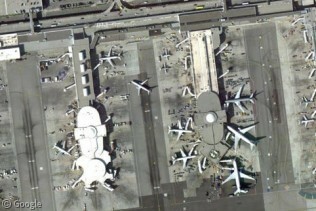 I thought places like Hong Kong, Frankfurt, Sydney, or even Tokyo would be here before places like LAX. 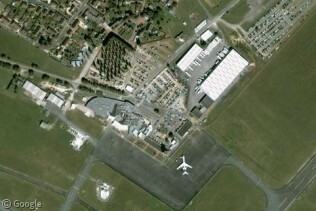 Erm – what about T5 to the West????? Ummm, re: O’Hare. Isn’t 1/5 = 20%, not “21.5%”? The stat book says 21.5%, so we rounded down. 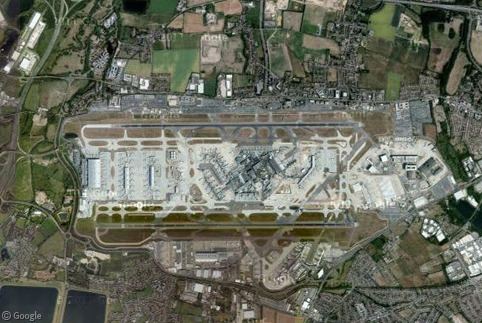 London’s four major airports include Heathrow, Gatwick, Stansted, and Luton. 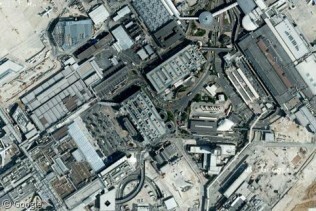 If you count London City as well, it could actually be five!